Talal (Saleh Bakri) is behind bars in a tiny police station somewhere out in the middle of nowhere in ‘80s Arabia. There’s no further specifics given about the time or place and there’s precious little to go on about why Talal has been jailed for much of the film. However, it emerges that it had something to do with a scuffle, and while the man that Talal is imprisoned for scrapping with is released on bail quickly, Talal looks like he has a long wait on his hands. When a man named Dabaan (Ali Suliman) enters the precinct and brutally kills the only deputy on duty, Talal becomes the victim of a psychopath whose motivations remain frustratingly vague. Trapped in his cell, Talal becomes a powerless pawn in this man’s plan. Read the rest of my Rattle the Cage review at Starburst Magazine here. 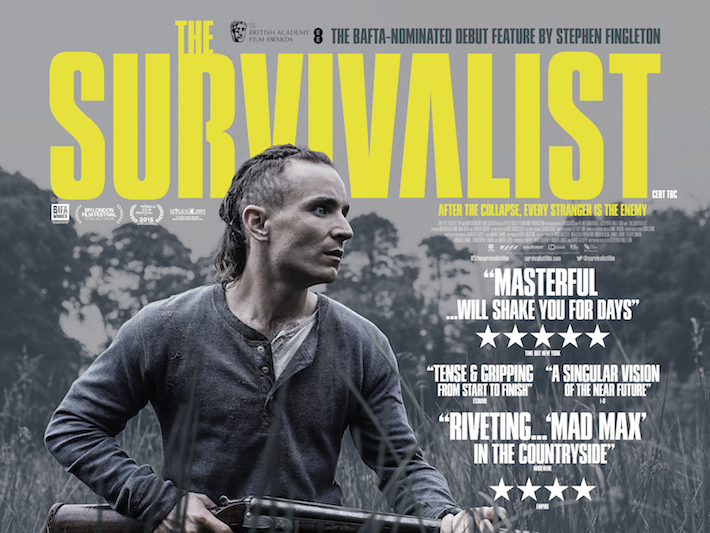 This film is so far up my street, it f**king hurts. Green Room is from Jeremy Saulnier, director of the excellent Blue Ruin, and stars Anton Yelchin, Imogen Poots and Alia Shawkat (from Arrested Development). A punk rock band witness a murder at a dingy backwoods venue, and the Neo-Nazi psychos that did it won't let them leave, leading to a tense stand-off with the band trapped inside the venue's green room for most of the film. Patrick Stewart, as you've never seen him before, is the calm, softly spoken leader of the Nazi thugs who are determined to make sure all this mess gets cleaned up before the police get a sniff of the crime. 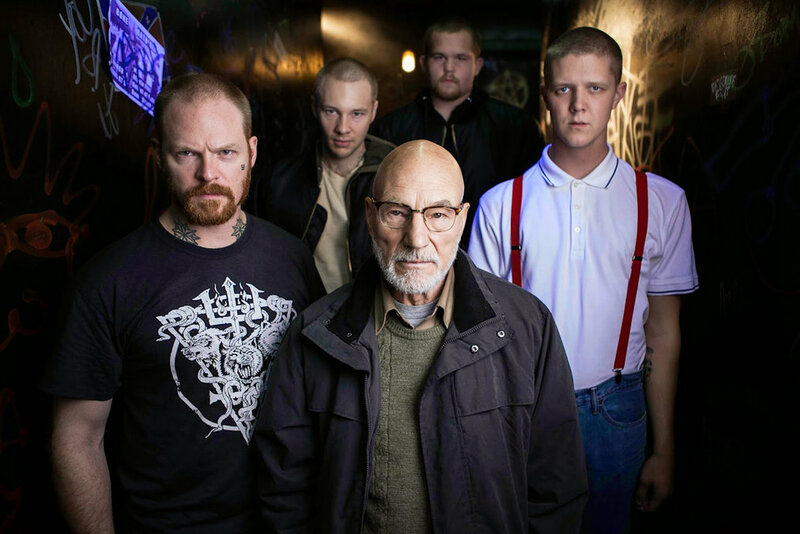 I was lucky enough to see it at the London Film Festival 2015 and my review of Green Room is at Starburst Magazine here. When teen Zach (Dylan Minnette) moves to Delaware following the death of his father, he arrives to find he is living next door to a mysterious and moody neighbour (Jack Black). While settling into a new school is hard enough (especially when his mum is the new Vice-Principal), Zach becomes suspicious of his neighbour, who is very keen to keep his daughter Hannah (Odeya Rush) from speaking to Zach. 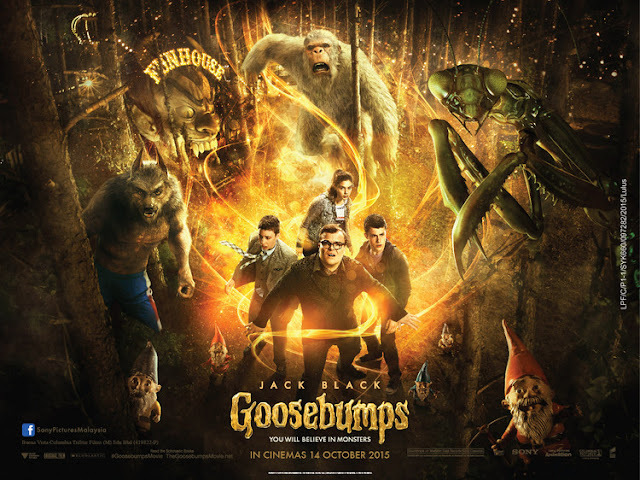 Turns out the mystery man next door is actually reclusive Goosebumps author R.L. Stine, and all hell breaks loose when the many monsters of his imagination are released from the pages of his manuscripts into the real world. Zach, Hannah, Stine and Zach’s new tagalong friend Champ must stop the creatures including murderous garden gnomes and a giant praying mantis before they destroy the entire town. Like the sound of this? Read the rest of my Goosebumps review at Starburst Magazine.